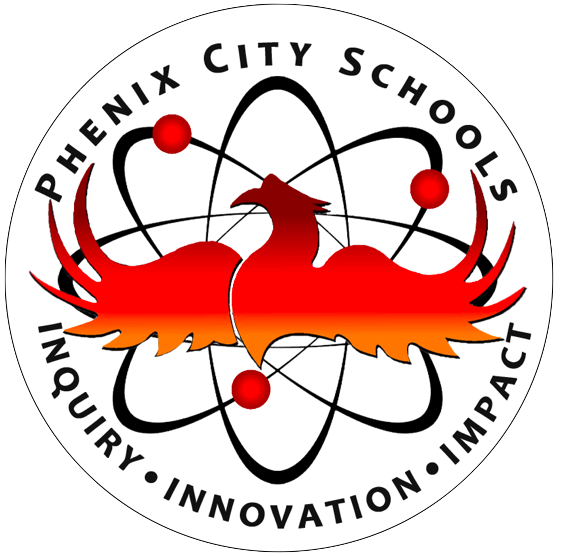 Phenix City Schools is a public school district serving approximately 7,000 students in grades pK-12. Located in the eastern-most portion of Georgia, Phenix is separated from the larger city of Columbus by only the Chattahoochee River. This guest post was written by Tamara Sanders, Instructional Technology Specialist at Phenix. You can follow her on Twitter @itsinpc. While the proximity to Columbus, GA, affords our families many opportunities, many of our students live in poverty – in fact, 70% do. But we believe we can STEM students out of poverty! And coding is one way to do that. We have a partnership with TSYS, and they’ve helped write an elective course that almost guarantees entry level programming positions for our students. So it’s important that we start coding early to prepare them for this awesome opportunity. What makes Phenix different from, say, other surrounding districts, is leadership that’s willing to do something different – to take a well-researched and planned idea and develop it. While others may consider that a risk, we believe it’s our greatest responsibility….to prepare our students for jobs that may not have been created yet. And our research tells us that coding will continue to be important for those future careers. TSYS has an estimated 11,500 employees, and it one of Georgia’s top STEM job openings. Our school district’s philosophy about how computer science prepares students for future success, is that basically it [CS] prepares them for those jobs not yet created. Coding teaches problem-solving. It encourages collaboration. And it’s engaging. All of those things are directly related to future success. [The Tynker platform] provides a bridge between what we’re doing at the elementary level with the scripted programming we teach in high school. By adopting Tynker, we can do “fun” things like drones in an environment that perfectly aligns with our overall coding progression. As for what we’re hearing from the school community about Tynker? Well, it’s sorta early in the game for us! But the training was great and our instructor is excited. We can’t wait to see students using this platform in the fall. Until then, our expectations are high!